IrrigationBox supplies technically advanced irrigation equipment for variety of irrigation solutions. We offer premium irrigation equipment for the professionals aiming perfect irrigation by providing perfect sprinkler uniformity and reliability. DuCaR Sprinklers® provide over 85% CU and 75% DU which are better than the accept standard. Poor sprinkler uniformity results in overwatering in some areas and underwatering in others. Poor uniformity also affects fertiliser distribution throughout the crop, especially where fertiliser is applied with irrigation. If you apply fertiliser through your sprinkler system, poor uniformity can deprive some areas of adequate fertiliser and supply excess to other areas. Our wide range of impact sprinklers are suitable for all kinds of irrigation applications, such as agricultural, lawn irrigation, mining, dust suppression, garden irrigation, horse farm irrigation, and so on... Our revolutionary impact irrigation sprinklers provide the highest performance with minimum volume of water and pressure! The impact sprinklers are made of 100% original raw materials and brass. They do not get affected by UV lights and mid level chemical water in order to provide long lasting efficiency. Check our unbeatable great deals for perfect irrigation with the performance, technology, reliability and the feature of uniform coverage. 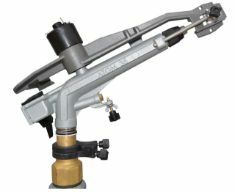 Double-nozzle, medium flow rates, metal & brass irrigation sprinkler. 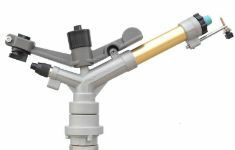 Double-nozzle, long throw range, metal & brass, big irrigation sprinkler. 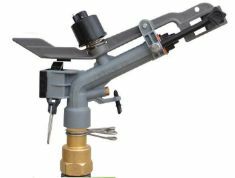 Double-nozzle, long throw, metal & brass, A+ uniformity, clean water irrigation sprinkler. 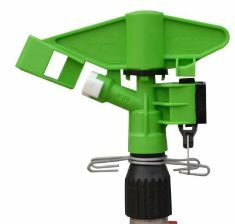 High Volume - Long Throw (40 m radius) - Unique Water Distribution Impact Sprinkler. Perfect for agricultural irrigation and industrial applications! 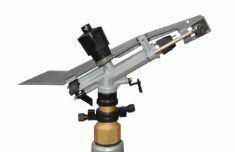 Double-sided, high flow & long throw ranges, full circle irrigation sprinkler. 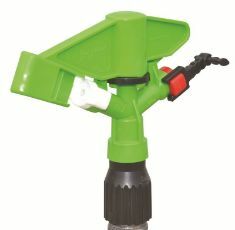 Low-Cost, single nozzle, impact sprinkler. Buy 2, Get $20 Discount! 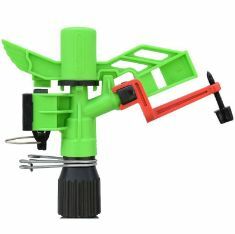 Low-Cost, double nozzle clean water sprinkler head. Buy 2, Get $8 Off. Brass housing, long throw, medium flow rates, clean water irrigation sprinkler. NEW low to medium water flow, impact, part circle sprinkler with double sprayers. 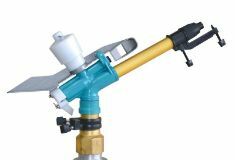 UV resistant, plastic impact sprinkler with double or single nozzle & switchable arm. UV resistant, perfect uniformity, plastic, impact part circle sprinkler. Buy 50, Get $200 Discount. 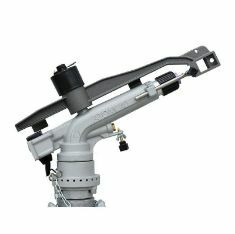 UV resistant, plastic impact sprinkler with switchable arm. Suitable for residential irrigation. 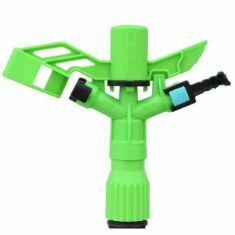 UV resistant, perfect uniformity, plastic, impact part circle sprinkler. Suitable for residential irrigation.